Heat works, fan works, but compressor won't kick on -- no sound from the compressor at all. I also noticed that the heat will get the coach really hot no matter what position it's in. Turns out, the thermostat is calling for heat regardless of the position of the temperature knob. I verified that was the problem and got myself some temporary cooling by "hotwiring it" as you can see in the second picture below -- the yellow "cool" wire is attached to the left "heat" terminal. Alternatively, you could jumper the white and yellow wires together to test what happens during "call for cooling" condition, or jumper the white and blue wires together to "call for heat." Step one, email Airxcel a bunch of times and get ignored. Step two, get fed up and call the tech service line on your lunch break, speak with a tech who happily sends you a replacement part at no charge. Step three, remove old thermostat. 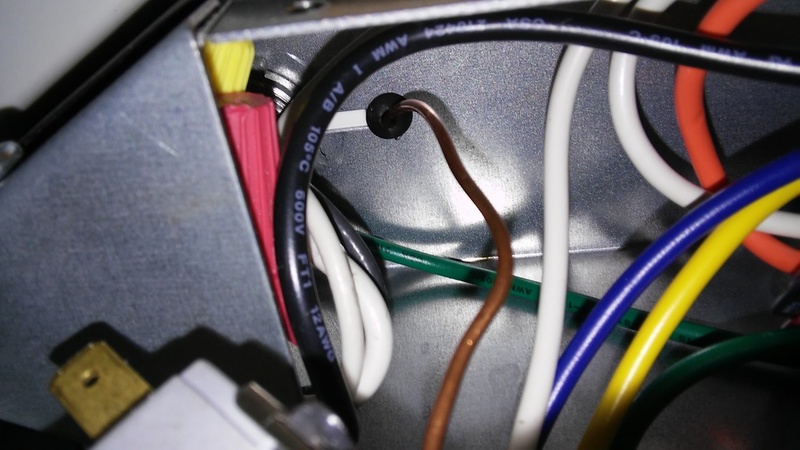 That pesky bare ground wire coming out of the ceiling assembly is from thermostat. Need to disconnect it from the chassis to remove the old thermostat. 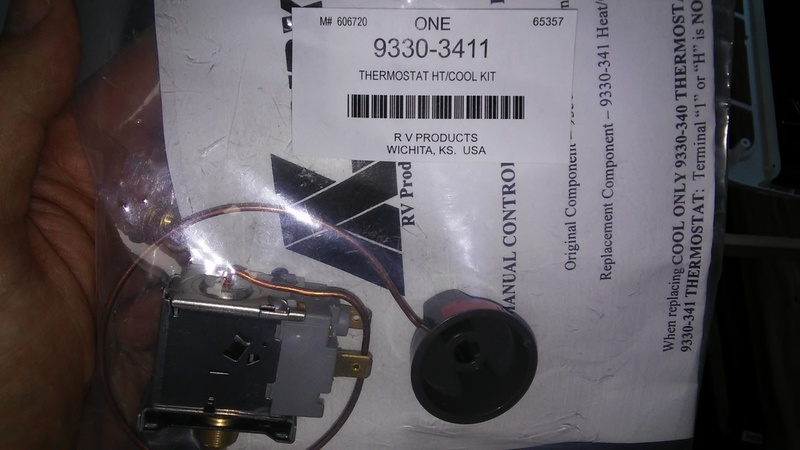 Remember to grab that little rubber grommet, since there isn't a new one in bag with the replacement thermostat. Fish the new ground wire through and attach to chassis. Don't forget to put the rubber grommet on it first. 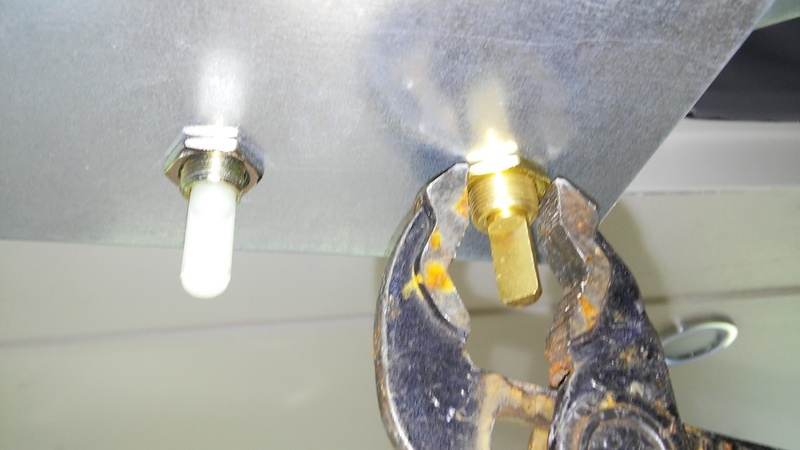 Attach the bolt to hold the thermostat in place. Attach the three wires. Note the markings on the thermostat correspond to the handy sticker right in front of your face. Three screws to get the switch cover back on, then install the interior trim and dials, and we're back in business.